DAYTONA BEACH, Fla. (April 12, 2019) – AFT Events is excited to announce AMA Hall of Fame inductee and 1993 500cc Grand Prix World Champion Kevin Schwantz as the Grand Marshal of the Al Lamb’s Dallas Honda Texas Half-Mile presented by Russ Brown Motorcycle Attorneys event on Saturday, April 20 at Texas Motor Speedway. 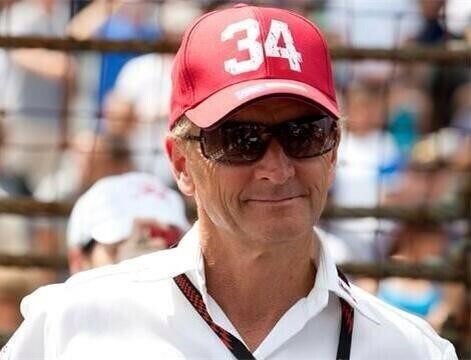 A native Texan, Schwantz is known for being a MotoGP powerhouse. His road racing accolades include a 1988 DAYTONA 200 win and 25 career wins in the 500cc GP class, placing him second for all-time wins from American riders within the sport. Schwantz is no stranger to professional flat track: he raced three races (Ascot, Phoenix and San Jose) during the 1986 season aboard a Harley-Davidson XR750. Schwantz will also serve as the American ambassador during the April 14 MotoGP event at Circuit of The Americas in Del Valle, TX. The Al Lamb’s Dallas Honda Texas Half-Mile presented by Russ Brown Motorcycle Attorneys event Opening Ceremonies begin at 5:50 pm, during which fans will get to see Schwantz as he assists in kicking off the race program. Fans attending can also look forward to live entertainment and an Easter egg hunt for children during the event.